John declared through the Gospel that from God’s bosom of love, Christ came to us in “…grace and truth.” By better comprehending the truth of God we better understand God’s grace. In fact, unless we earnestly seek to understand God’s truth we’ll always misunderstand and not be fully benefited by God’s amazing grace. Although it is by grace that any are saved through faith, grace isn’t grace without truth. Sin is addressed throughout this thought provoking journey in order to accent the love of God and the truth of His Word. But neighbors along for this ride won’t find spiritual condemnation. Why I Repented Being Gay was not inspired to leave anyone feeling condemned. Once and for all, Christ took care of sin long ago for anyone who embraces God’s grace through faith in the matchless Name, Jesus. 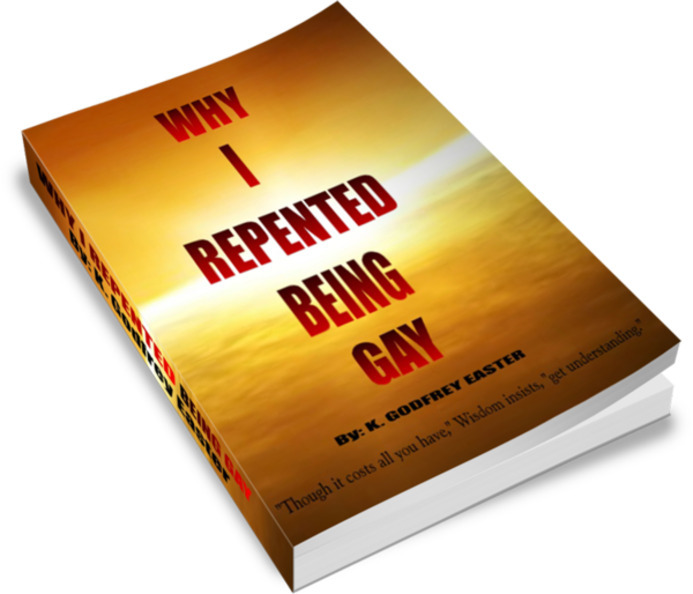 Why I Repented Being Gay is the first installment in an engaging, two-part series exploring the depths of the grace and truth of God pertaining to same-gender attraction and homosexuality. It has been written to help speak peace to the seemingly insurmountable challenges faced by believer and unbeliever alike, seeking to better understand God and human sexuality. It addresses humanity’s dire need to better understand God’s unconditional Gospel of grace in hopes that the church – the “light of the world” – is liberated to let her light of love so shine before men a lot brighter than it does today. So, if you’re a committed Christian, who remains convinced that it is too difficult, impossible or even unnecessary to resist thinking or acting on innate, homosexual thoughts and tendencies then this empowering Gospel message is tailored especially for you. In fact, WIRBG is a must read for every Kingdom Citizen that has ever desired to understand why or has ever been challenged by homosexuality. Whether called to pulpits or serving God from a pew; from start to finish, this empowering message was inspired just for you.